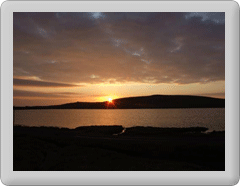 Fetlar Interpretive Centre is hosting an opening event on Saturday the 5th of May between 4pm and 6pm. The Interpretive Centre has had an extensive internal redecoration and reorganisation as well as the addition of a large screen showing recently digitised versions of its collection of old films and videos. There is a new craft shop, featuring a great range of crafts hand made in Fetlar. Everyone is invited to come along and refreshments will be provided. Entry is free but donations are always welcome. Please also lookout for announcements about a number of exciting new exhibits which will be available in the coming months.